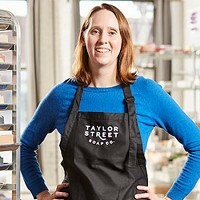 Baker-at-heart Rachel Wiandt of Taylor Street Soap Co. had dreams of mixing up cupcakes and cookies when she moved into a house with a second kitchen. 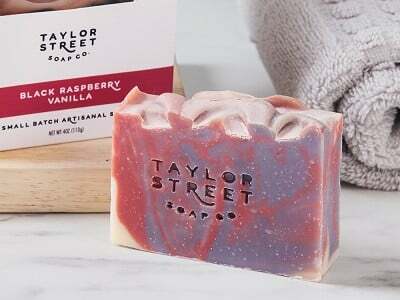 The realities of running a bakery soon dampened that fire, so Rachel switched gears and began mixing up soaps instead—soaps that smell good enough to eat. They’re all made in Chicago by hand and in small batches. Rachel’s whipped soaps look like frosting and some of them smell like it, too. 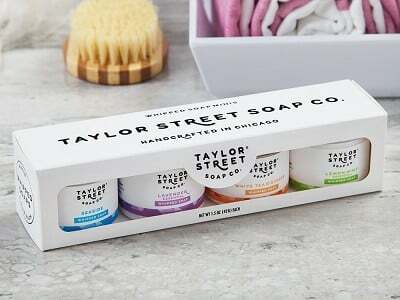 It’s a fresh approach to soap that feels more like body butter—rich and creamy. Her bar soaps just plain feel special. They are colorful and fragrant and because each one is made by hand, each is a one-of-a-kind. 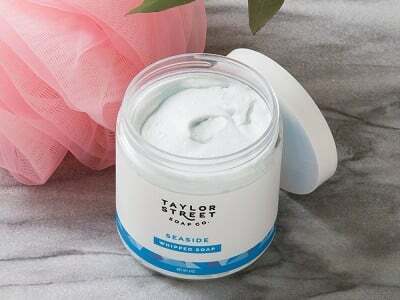 They are packed with good-for-skin food-grade ingredients like olive, coconut, and avocado oil, shea butter, and oatmeal. Either sudsy way you go, Rachel’s handcrafted approach is a fresh take on washing up. Do these products contain allergens like wheat, gluten, or nuts? 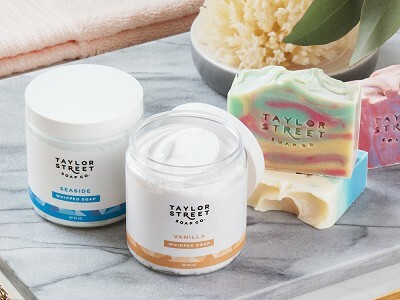 Although Taylor Street Soap Co. does not use tree nut oils in their facility, it is possible that nut products or gluten may have come in contact with finished products. Does the soap contain lye? All soaps are made with lye (sodium hydroxide). The chemical process of saponification breaks down the lye into separate chemical compounds to transform vegetable-based fats into soap, so there's no need to be alarmed.